Ever since the Internet was first opened to the public, and even before then, people have been buying things online. Today, many of us don’t think twice about clicking the “Buy” button to have shoes or shampoo delivered to our door. But it took many years and plenty of hard work to build the public’s trust in the eCommerce system, which now accounts for between 10 and 15 percent of retail sales in the U.S., depending on how you measure it. As it relates to eCommerce, “trust” has become bigger than just security and privacy. Yes, we expect to be protected from scammers, fraudsters and identity thieves. But we also expect maximum convenience, with retailers reliably delivering goods fast and hassle-free. That’s been a major shift from the early days of eCommerce, when discount prices were a big driver. We still love a bargain, but now we expect to find it on just about any product that can be delivered to our door. In the 24 years since Amazon.com was founded as an online bookstore, eCommerce has expanded to include everything from groceries and laptop computers to jewelry and dog food. To get there, eCommerce had to overcome a number of obstacles, including customers’ reluctance to trust their financial information to a website. People want to know that the virtual places where they shop will protect that information. And today, it’s more than just your credit card details, but also where you live, what kind of products and services you buy, and the sensitive personal secrets that they could expose. 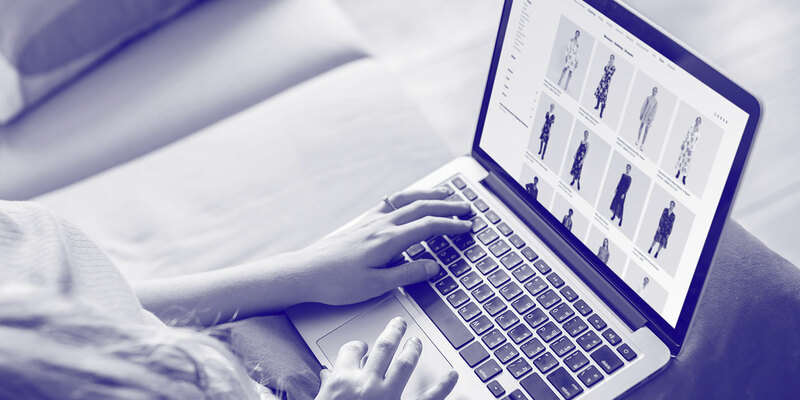 ECommerce companies have become far more sophisticated since the 1990s, and have collectively developed standards, secure protocols and privacy policies that safeguard our information. Despite the regular occurrence of data breaches, many people feel confident that they will be protected when they shop online, that their information will only be seen by the eCommerce site and the payment provider. Studies confirm that growing sense of trust. According to a McKinsey study, one third of U.S. shoppers plan to make most or all of their holiday purchases online this year, while another 48 percent will split purchases between stores and the web. But our need for trust doesn’t end with the safety of our personal information. Today it includes an expectation that online merchants will provide a level of convenience that we couldn’t have imagined even 10 years ago. When we shop online for kids’ toys, we expect to find the exact products we're looking for, with competing pricing data so we can factor that into our decision. We need that toy delivered on time, especially during the holiday season. And we expect that if we have any problems, or even if we just don’t like it in person, we can return that toy with no hassle. If any of those trust elements aren’t present, it could damage a customer relationship that may take years to rebuild. We have plenty of choices, and we’re perfectly prepared to look for another option. That includes shopping at physical retail stores. And despite the nonstop news about big name retailers that have gone under, in-person shopping isn’t going away. Retailers have had to adapt, to show they can be trusted to provide the same convenience and service levels as online merchants. The ones that succeed are building complementary online stores, retraining store associates to use digital and mobile tools to help customers, and investing in logistics improvements that offer fast, flexible delivery. Ecommerce channels have set the bar higher. In fact, we’re now seeing a blending of physical and online retailing – also known as omnichannel – which might be the ultimate model for maximizing customer trust in the years ahead. Many newer online brands began with a digital only model, but they are starting to expand into physical stores. In fact, millenials actually prefer going into physical stores as a primary means of shopping. For young consumers, shopping in-store isn’t a necessity — it’s an experience that should be enjoyable and as easy as shopping online. This blending of the physical and online retail environments is making it possible to buy more and more items online. Even big-ticket items like appliances and mattresses have found their way into the digital marketplace. No-hassle returns, long-term free trials, free delivery, and access to broader inventory make it possible for more people to avoid going to a store or warehouse. Even cars, which most people would want to sit in and test drive before buying, are easier to purchase using online comparison tools and discount pricing services. Digital commerce is actually increasing trust in the automobile market. Is there anything we won’t buy online? It may seem hard to picture buying a house without going to see it, or fueling up your vehicle online. But one thing’s for sure – if we do see innovations like those, you can bet that someone found a way to make those transactions trustworthy and convenient enough to change the way customers shop. I wouldn’t bet against it. Sign up to be part of our Early Adopter Program. © 2019 Gradient.io. All rights reserved.